What is different about the Pilates method I teach? Joseph Pilates, the creator of Pilates, called his new form of exercise and rehabilitation “Contrology.” This is what he said about it in 1945, "Contrology (Pilates) develops the body uniformly, corrects wrong postures, restores physical vitality, invigorates the mind, and elevates the spirit." My primary focus is working with men and women with chronic pain and injuries, lower back pain, and scoliosis. 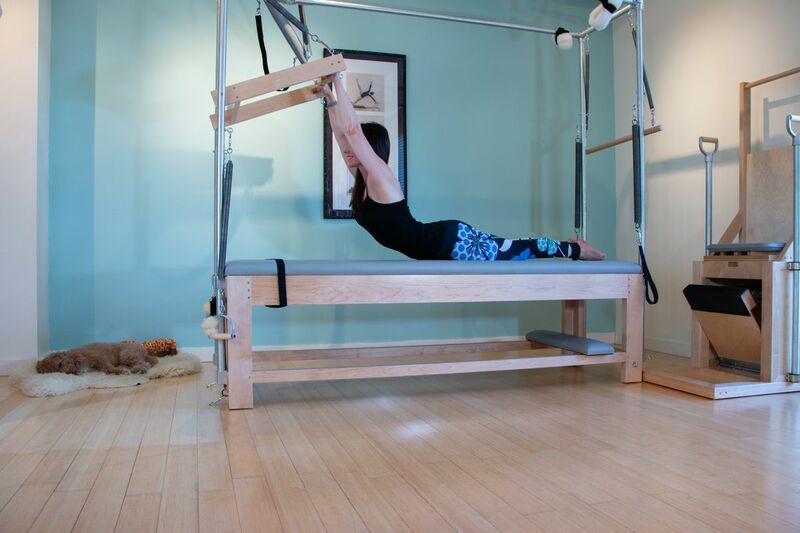 The classical Pilates system allows me to work around my clients' injuries while strengthening their core, ensuring that each person gets an invigorating, full-body workout, custom tailored to their individual needs, meeting them where they are. Pilates strengthens, stretches and tones your body as a whole instead of only focusing on separate parts. 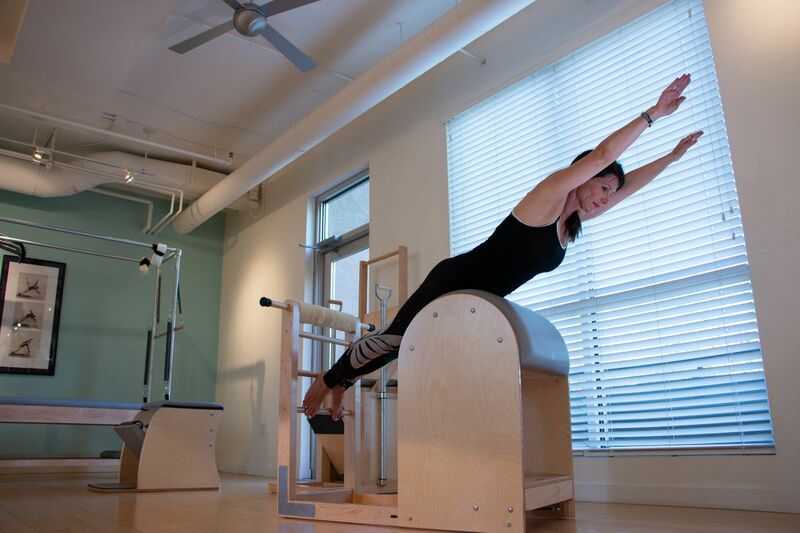 Using Original Gratz Pilates apparatus, your body learns how to flow while moving. Gratz equipment assists you in building a strong body, and you develop a strong and flexible spine for healthy, efficient movement. You become more flexible as well as stronger. Who benefits from the Classical Pilates system? Men and women with stiff, achy backs to build strength in core muscles to help alleviate pain and stiffness. People with scoliosis learn bring their spine more to the center line and create more length. Older adults who want to improve balance and joint range of motion. Those wanting to strengthen their bodies and core after being released from physical therapy or chiropractic care. Runners, cyclists, skiers, and swimmers to reduce risk of injury and improve performance. Golfers and tennis players to improve game and reduce risk of injury.